Sunridge Plateau is a 7 bedroom luxury Whistler Estate. Perched above the village in a neighbourhood known as Brio this spacious executive Whistler home offers elegance and warmth. The Sunridge Estate offers generous space for families or friends. 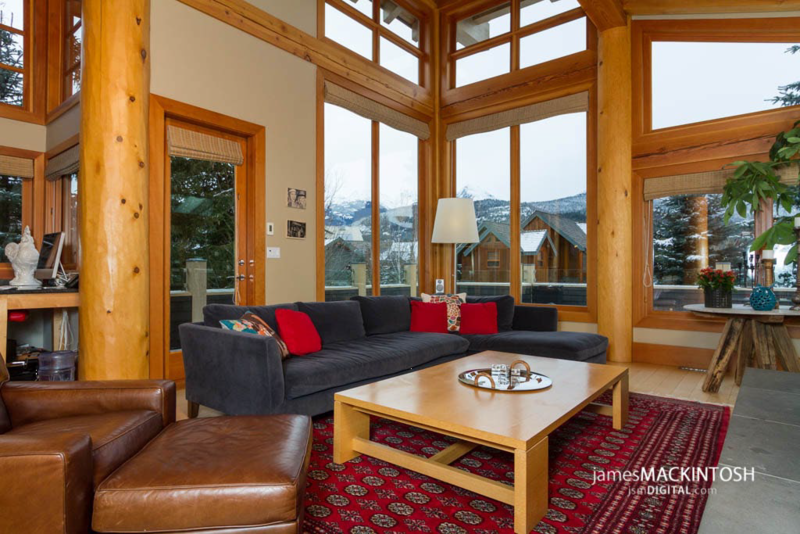 This executive Whistler home offers fabulous views of the surrounding mountains and lakes. From the formal entranceway, sumptuous sofas and two-storey wood burning fireplace, this home offers luxury and comfort. The private screening room features a huge plasma TV, surround sound and an entertainment centre. A separate work area allows guests to remain in touch with a fax machine, telephone and high-speed internet. The home features an open plan gourmet kitchen with sub-zero fridge, gas range, 2 dishwashers, granite countertops and breakfast seating for 8. There is a separate formal dining room that seats 10. A huge sundeck is the perfect place to BBQ and offers great views. One bedroom with a queen bed and half bathroom lies off the living room. The third floor features 5 bedrooms with en-suites and private wardrobes. 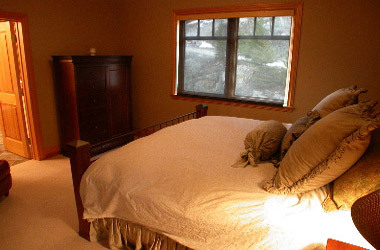 The master suite has a gas fireplace and luxurious en-suite with a soaker tub and shower. The lower floor boasts a 15 metre indoor pool, wet bar, steam shower, 8 person outdoor hot tub and separate cozy billiard room. There is also a huge bedroom with 2 sets of bunk beds ideal for children.